A number of Google services including Gmail, Contacts, Calendars, Chat, Drive and, er, Google+ suffered a midweek sag this morning just as Brits were downing their first cups of coffee. The ad giant's network appeared crippled to some users within the last hour. Register reader John told us that lots of different Google services had buckled at around 8.30am. He kindly sent us some screengrabs to illustrate the cockup. Pah! Contacts? Who needs 'em? Gmail service has already been restored for some users, and we expect a resolution for all users within the next 1 hours [sic]. Please note this time frame is an estimate and may change. Similar updates were posted for Google's other affected services. 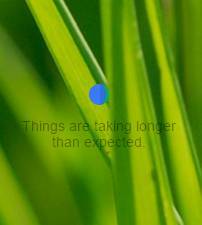 But Google is yet to reveal what caused its network to have a little lie down today. Naturally, we requested a statement from the company. However, it simply told us the problem had now been resolved. 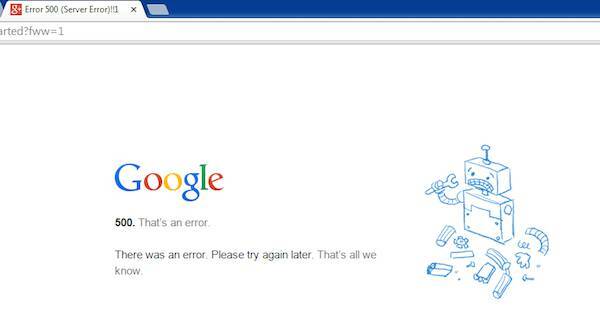 The outage appeared to have begun with Google Drive, which went titsup in the early hours of this morning.